Pericytes were described in 1873 by the French scientist Charles-Marie Benjamin Rouget and were originally called Rouget cells. The Rouget cell was renamed some years later due to its anatomical location abluminal to the endothelial cell (EC) and luminal to parenchymal cells. In the brain, pericytes are located in precapillary arterioles, capillaries and postcapillary venules. They deposit elements of the basal lamina and are totally surrounded by this vascular component. 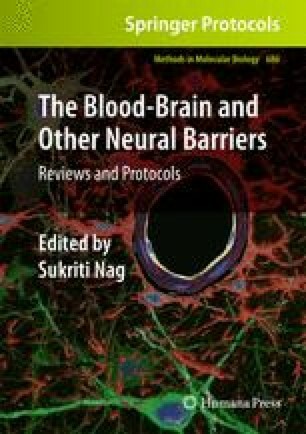 Pericytes are important cellular constituents of the blood–brain barrier (BBB) and actively communicate with other cells of the neurovascular unit such as ECs, astrocytes, and neurons. Pericytes are local regulatory cells that are important for the maintenance of homeostasis and hemostasis, and are a source of adult pluripotent stem cells. Further understanding of the role played by this intriguing cell may lead to novel targeted therapies for neurovascular diseases. The work discussed in this manuscript was supported by grants from the National Institutes of Health and the National Multiple Sclerosis Society. Pericytes [online]. [last accessed 2009 Jan 09]. Available from: http://en.wikipedia.org/wiki/Pericytes.